Two months after my last blog – not counting the one from Monday – Slovakia lost it’s currency, Slovak Crowns, the Euro has a new set of coins with Slovak symbols and we all try to be used to think on much, much lower scale. What was 1000 Crowns before now is 33 Euro. But we will live with it, somehow. But let’s tea! I got 50 grams of this fine tea from local vendor, LongFeng (Dragon- Phoenix) maybe a year ago, just after the online store was opened. 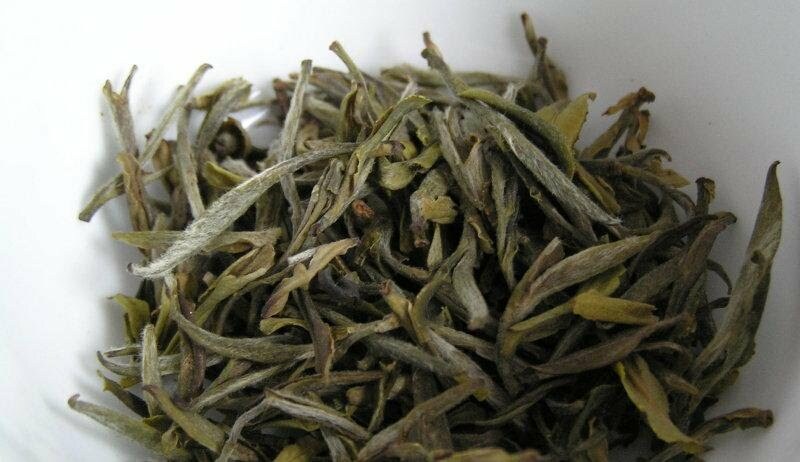 It’s a yellow tea harvested on spring of 2007 from Huo Shan, Anhui area, hand harvested and hand processed by most traditional methods. 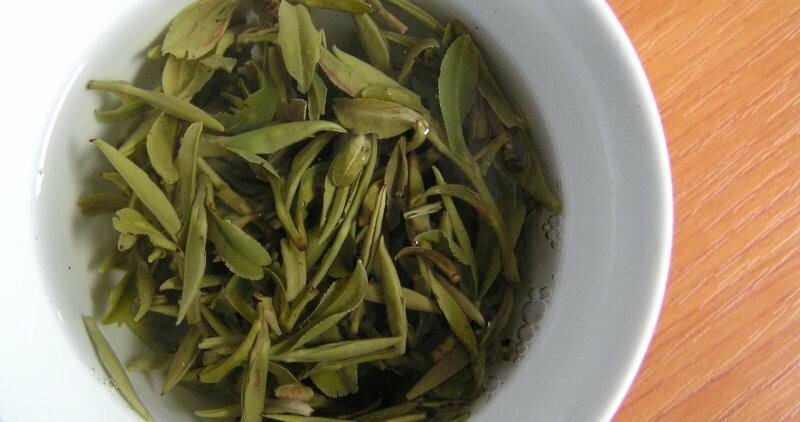 The true yellow tea is quite scarce and hard to find, so I welcomed these charming little tea leaves. As seen on pictures (click to enlarge), the leaves are mostly buds and two-leaves-and-a-bud, some of them are quite hairy. On used leaves signs of slight fermentation are clearly visible. Durability is OK, I can squeeze 10 infusions from this tea with ease. I was worried about the potency of the tea, since I have it for more than a year now, but, fortunately, the tea was the same as I remembered. I haven’t had a chance to drink yellow teas before, so I’m still puzzled about the taste and smell of this tea. I liked it from the first moment, but I was doubtful if it should taste like this. Because in pu-erh, for example, you can find tones of fruits, tobacco, camphor. In this tea – it’s bacon and baked potatoes. Really!! I love this tea, drinking it on cold winter nights. Unfortunately, I have leaves enough only for one last session – but there are other tea adventures ahead. 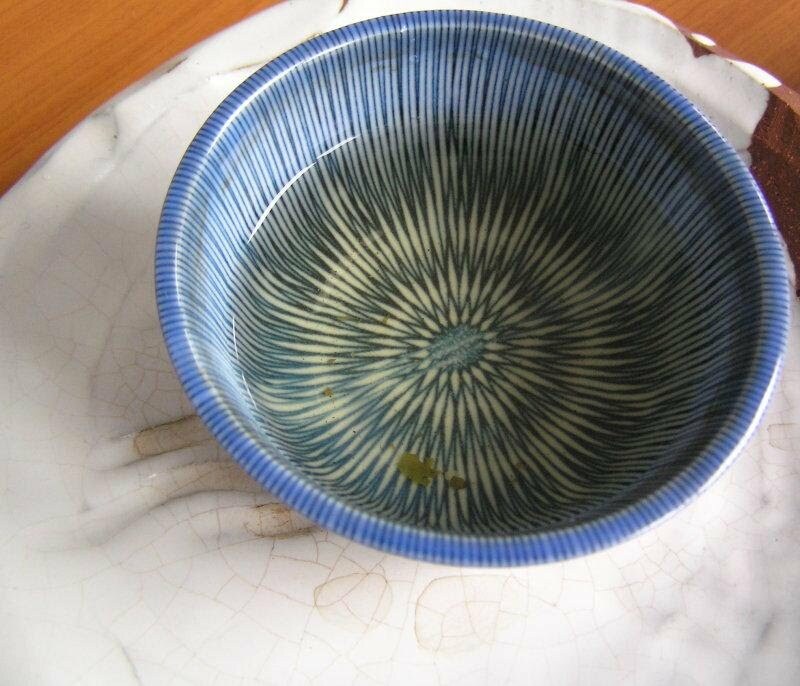 Even though I haven’t purchased tea for some time, I still check HouDeAsianArt regularly. And few days ago I noticed a new beeng from Chen-Guang-He Tang in stock. I knew that wrapper, I see it somewhere before. But it took me some time to realize, that I have a beeng like this in my possession. Good beeng, by the way. I took a picture of this cake to remind you, how it looks like. First beeng is produced by Chang Tai Tea Factory; the other one is made by Chen-Guang-He Tang, both being made in 2005. Could it be a coincidence? Update: After MarshalNs comment I made some deeper research on connection between these two beengs. When I wrote this blog I believed, that there is no connection, they are separate products of Chang Tai tea Factory and Chen-Guang-He Tang Tea Factory. 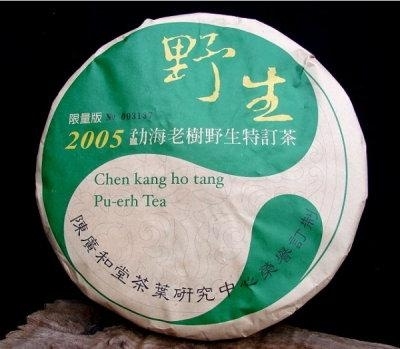 Later I learned, that the 1st Pu-Erh Trade beeng (bottom one) was produced under supervision of Mr. Chen Zhi Tong, owner of Chen Guang He Tang (top beeng). Still I did not expected him to use the same wrapper design on two such distinctive beengs. 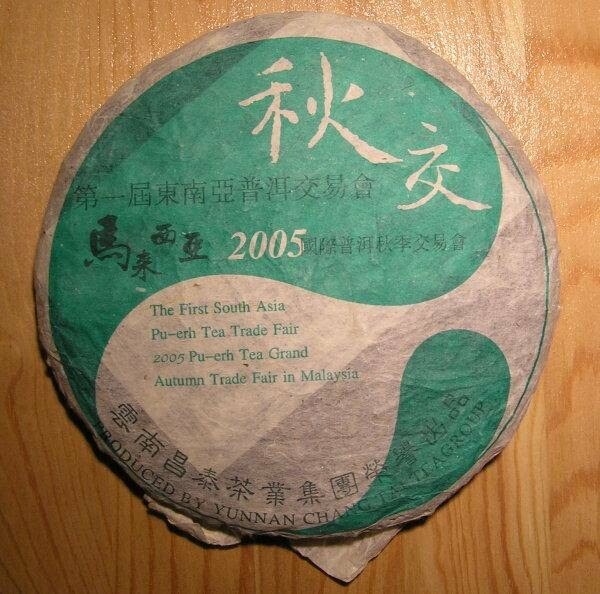 I live in Slovakia I drink tea "seriously" since 2002, I'm hooked on pu-erh since end of 2006. I published on this blog since 2006 with a long hiatus since 2009. I still drink tea and will post here my comments I post now on social media, so they will not be lost forever.